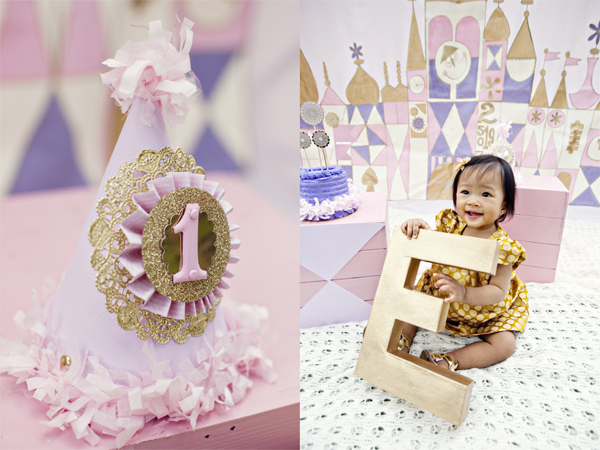 From Linsey: I just loved working with this theme! The mom chose It's A Small World because they love Disneyland, It was the birthday girl's first ever ride at Disneyland and because they love to travel! 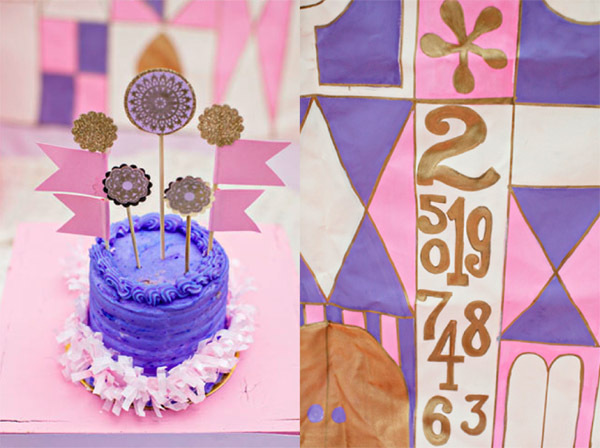 I took all of my inspiration for this party from the Small World Castle. I Created geometric shaped cupcake picks that played of the shapes in the castle and were placed into Hero's Baking Co.'s delicious strawberry cupcakes. I used gold dollies for dessert labels to play of the spinning parts of the castle. 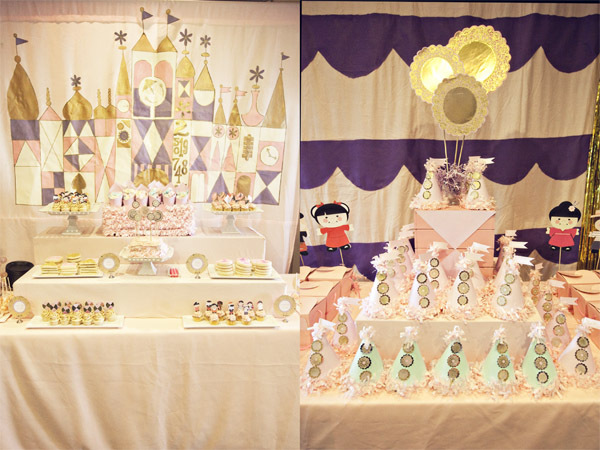 I hand painted the Small World Castle to use as the backdrop for the dessert bar. 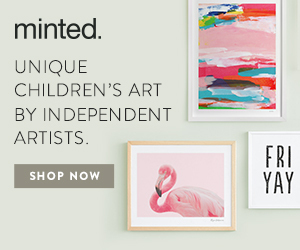 To incorporate all the children of the world, I utilized the graphics from the nested graphic shop on ETSY. 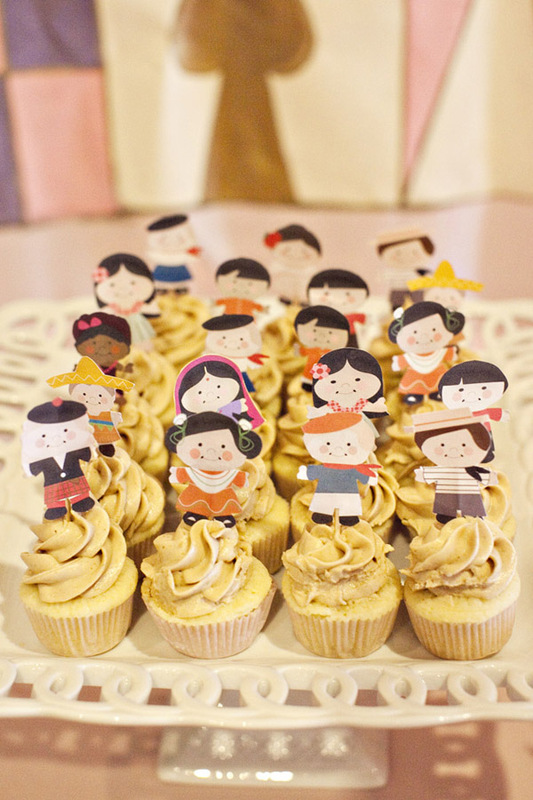 I printed the children out and made miniature cupcake picks. 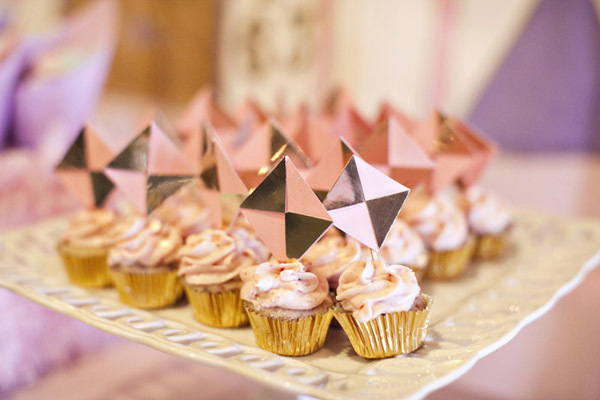 Hero's sugar cookies on the dessert bar were piped with geometric shapes. There were also circle and triangle cookies that were topped with gold sugar sprinkles. 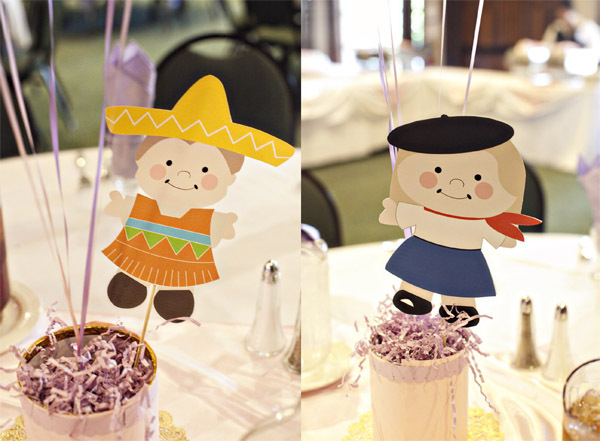 The kids party bags had treasures from around the world. 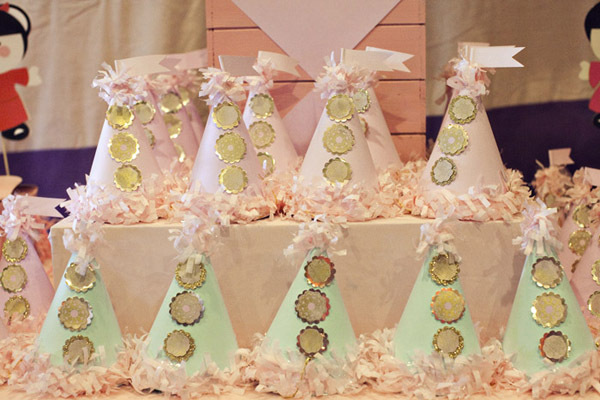 I custom made birthday hats for each of the young party guests. I used a gold stamp pad to stamp the frilly circles on the hats and then trimmed them with tissue festooning. 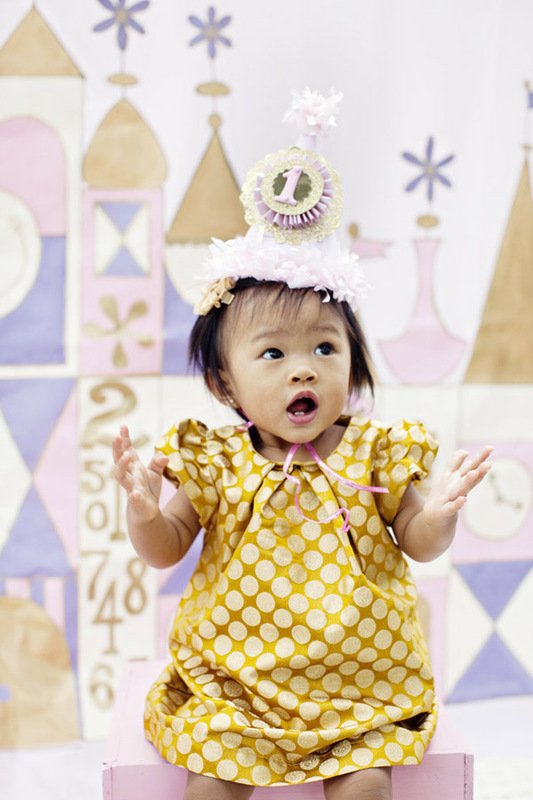 This is my daughter's birthday! 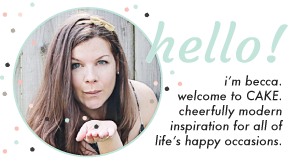 Thanks SO MUCH for the Feature and thank you again Linsey for an amazing job! Oh my cuteness!!!! The people are so adorable!!! GREAT job! oh my! it's a small world theme is so great! stopping in from the business card class! see you at alt! So darling! 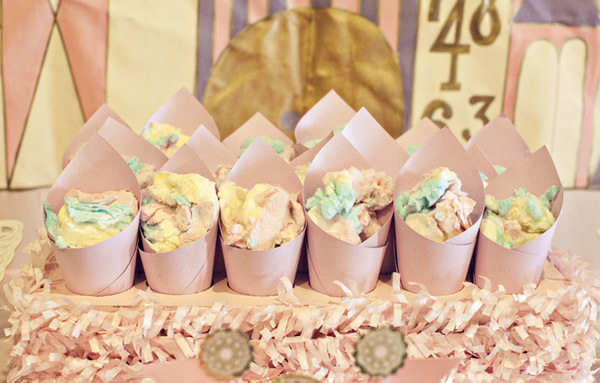 I absolutely love this theme for a party! how creative! 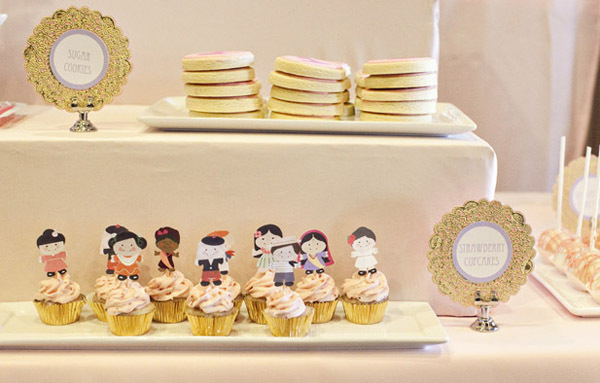 I love the cupcake toppers! 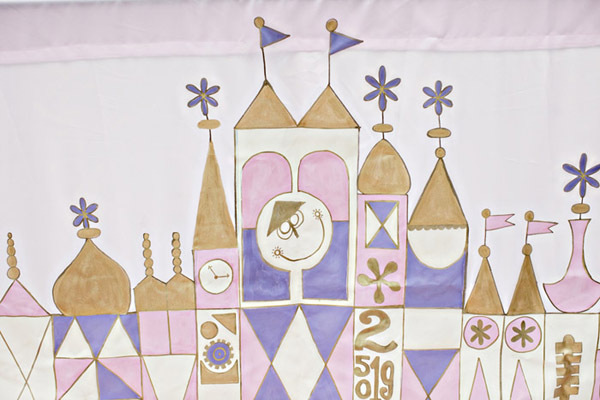 I grew up less than 10 minutes from Disneyland and Small World was always my favorite ride! I am in LOVE with this party. 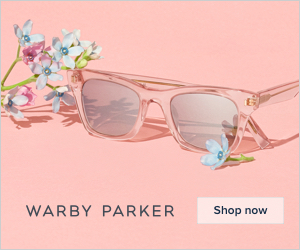 They perfectly captured the whimsy and the gorgeous colors and everything else that I have loved since I was a kid. So impressed with this amazing party!